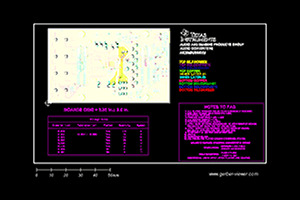 End equipment such as mixed signal SOC testers, memory testers, battery testers, liquid-crystal display (LCD) testers, benchtop equipment, high-density digital cards, high-density power cards, x-Ray, MRI, and so forth require multiple, fast, simultaneous sampling channels with excellent DC and AC performance but at low power and in small board spaces. The proposed solution in this design uses high-performance SAR ADCs (ADS8910B), precision amplifiers (OPA2625), and a precision voltage reference (REF5050). This circuit design is tested and includes Getting Started guide.